After four years of experiments, Wilbur and Orville Wright, aka the Wright Brothers, took to the sky in the world’s first heavier than air, powered controlled flight. 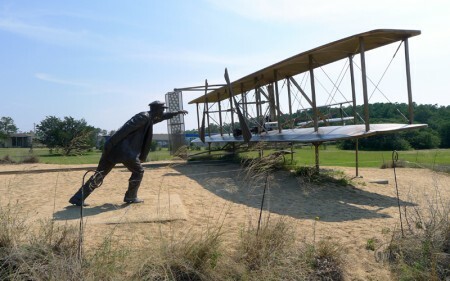 The Wright Brothers National Memorial in Kitty Hawk, North Carolina, highlights the beautiful history of the brothers’ success. See photos of the museum and memorial in our gallery.